Recent articles and commentaries published in Haaretz, the Jerusalem Post, and the Huffington Post present false information concerning the cooperation between a Médecins Sans Frontières/Doctors Without Borders (MSF) team and Israeli burn specialists treating victims of a fuel tanker explosion in the eastern part of Democratic Republic of Congo (DRC) in early July of this year. The articles and commentaries allege anti-Israel sentiment expressed by MSF staff and the staff’s refusal to work with their Israeli counterparts. MSF has carried out a thorough internal investigation with its team in DRC and has found no basis for the allegations made against it in the various publications. Any accusation that MSF places politics above the best interests of our patients is rejected. The fact is that during the intervention in DRC, both the MSF and Israeli teams on the ground collaborated extremely well and appreciated each other’s contributions to assist patients. Both medical teams shared — and worked together toward — the common goal of providing the best possible treatment to those most in need. Cooperation continues with the exchange of medical data on the 64 remaining burn patients in our care. Both Dr. Eyal Winkler, who led the Israeli team from the Sheba Medical Center, and Gila Garaway, who escorted the team, have reassured MSF that there was good collaboration and cooperation throughout the five-day intervention and they have rejected any suggestion that this was not the case. Media reports and commentaries alleging otherwise are unfounded and irresponsible. MSF’s humanitarian action is guided by the principles of alleviating the suffering of victims of violence, epidemics, and natural disasters through the provision of impartial and neutral medical assistance that is independent of political, religious or other interests. 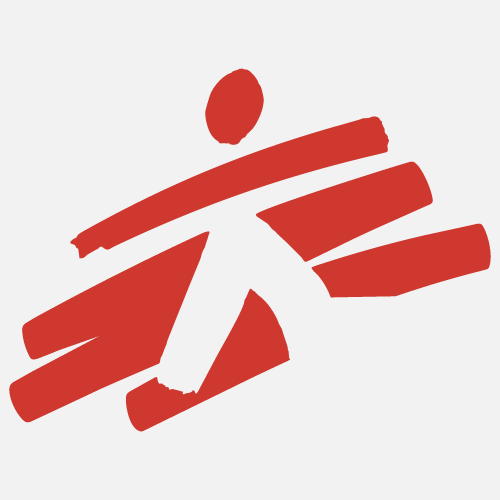 All MSF staff members are obliged to respect medical ethics and international humanitarian law, as well as to display a general attitude and conduct characterized by neutrality, impartiality, and non-discrimination. Any deviation from these principles by an MSF staff member is deemed unacceptable. Regarding references in some of the coverage to MSF’s work in the Palestinian Territories: MSF routinely describes publicly the humanitarian impact of hostilities on civilians, as witnessed by our medical teams on the ground. Operating under the rubric of international humanitarian law and the Geneva Conventions, MSF pays particular attention in conflict situations to the measures taken by belligerents to spare civilians during the conduct of hostilities. These principles were the basis for MSF’s speaking out in January 2009 during Operation Cast Lead, the Israeli military response to rocket attacks against Israel. MSF teams working in Gaza indeed observed a significantly high number of civilians wounded and killed in a very short period of time. Contrary to references in some coverage, however, MSF representatives never stated that the consequences of the Israeli military offensive in January 2009 resulted in a greater overall toll than the violence in Sudan’s Darfur region. MSF also has a track record of speaking out when its teams have witnessed civilians injured or killed as a result of internecine Palestinian violence in Gaza, as it did in June 2007, for example. When working in conflict areas, MSF assesses the level of needs and local response capacities on each conflicting side. Israel has a comprehensive and advanced emergency response capability and medical infrastructure. While MSF has offered its services within Israel, including during the 2006 conflict between Israel and Hezbollah, to date MSF’s assistance has not been required there.